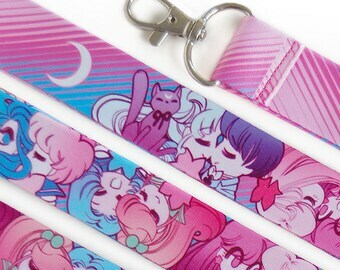 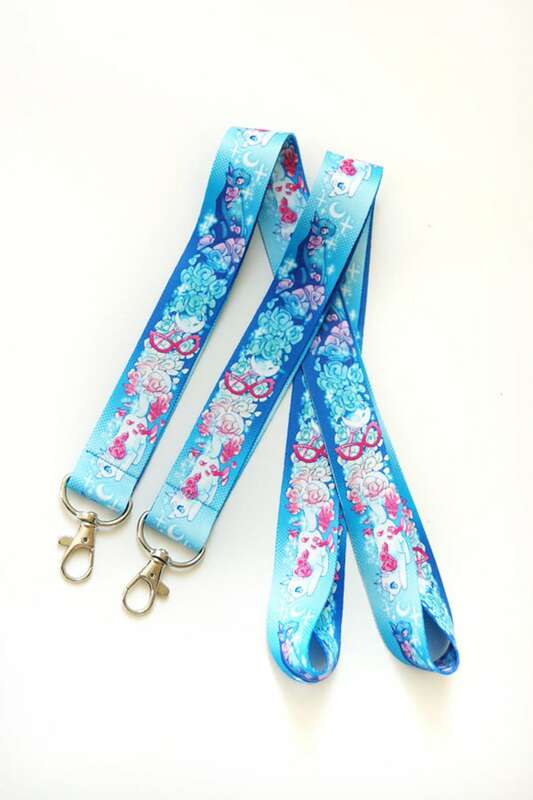 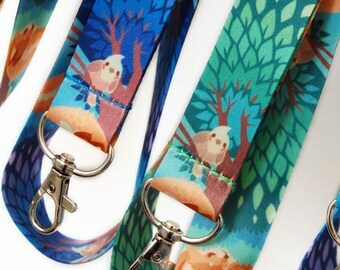 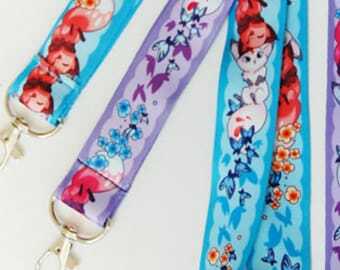 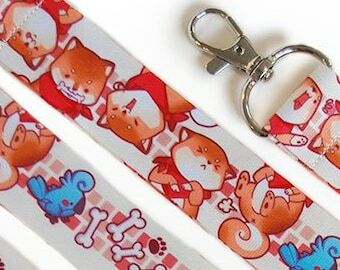 This is a Sailor Moon fanart lanyard! 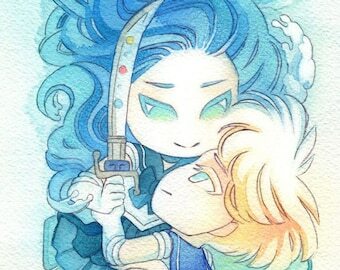 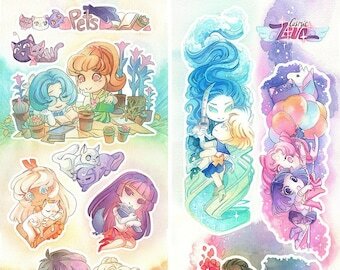 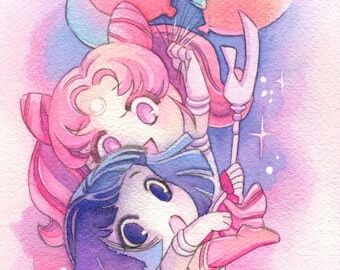 It's all about Sailor Moon and her guardian Sailor V, with both of their cats and also Sailor V's mask that she wears before she becomes Sailor Venus, and Sailor Moon's first moon wand! 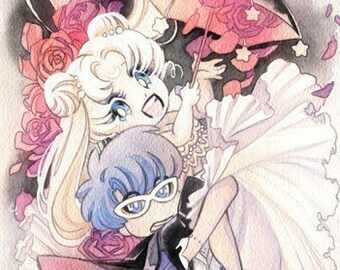 Also, rainbow roses! 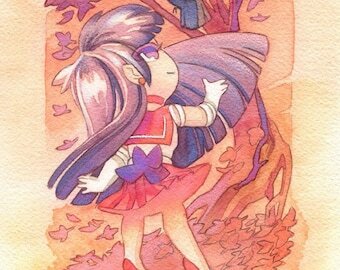 Those are important too!